Imagine that you’ve just arrived in a new country. You’re unfamiliar with the culture. You don’t know anyone. You don’t speak the language, have an income, or know how to use the bus system. And you have 2 young children. This story is all too common among clients of Homestretch, an award winning nonprofit in the D.C. area. Stories like this are what initially piqued the interest of the Eco team to consider establishing a partnership with Homestretch. For several years, Eco volunteered at Homestretch, helping with anything from painting apartments to donating holiday gifts. 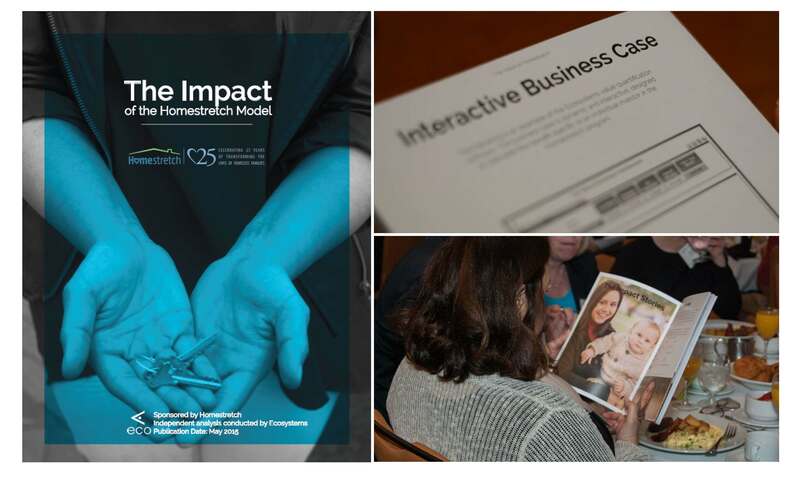 Homestretch was creating real, tangible value for so many families seeking to transform their lives. That’s why, when we found out that traditional government funding for nonprofits was diminishing, a partnership with Homestretch seemed like the only logical next step. In a moment of creative brainstorming, we thought: Why can’t we use the same value management capabilities that we provide to our Fortune 500 clients every day, and implement them at Homestretch to make its value clear and increase funding? We’d never done anything like this before. All of our expertise revolved around our Fortune 500 clients, not nonprofits. But our company purpose is to make value clear, with any organization—profit or nonprofit. The challenge was exhilarating. In January 2015, we formed an official partnership with Homestretch to make value clear. Creating the Value Study as a product of our partnership was no small feat. It required research. Innovation from our value engineers. Discussions with Homestretch executives. Meetings with graduates of Homestretch. Outreach to community members. Expertise from Ecosystems’ value consultants, software developers, leadership, and design team. In May, Ecosystems and Homestretch revealed the Value Study. 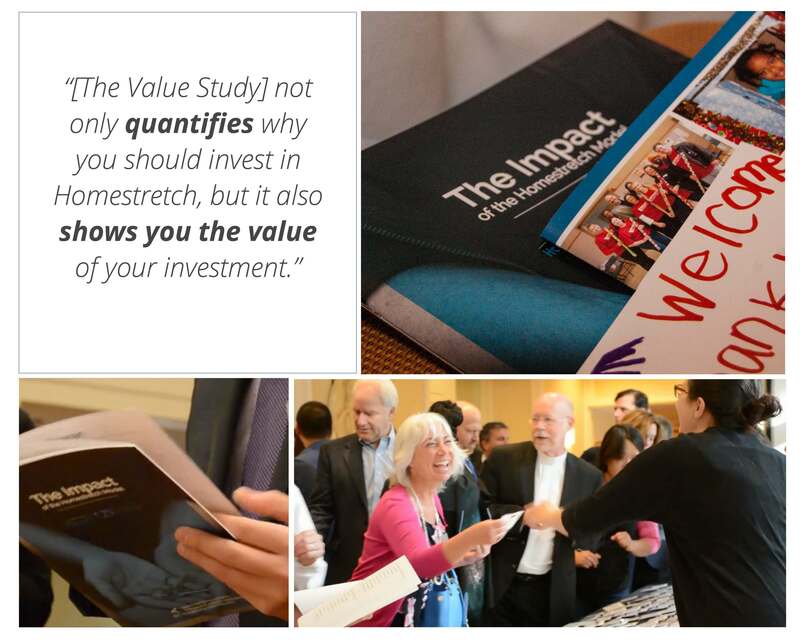 The initial launch took place at Homestretch’s largest annual event, where each of the several hundred executives in attendance received a personal copy of the Value Study. “What this study will do is give confidence to other investors in Homestretch, other companies, other individuals, to bring more dollars, more time, more talent to the organization,” said Burton White, Co-founder and Managing Partner of Excella Consulting. In one of the most powerful moments of the event, Ken Bradford, Development Director at Homestretch, stepped on stage and turned to the audience. He asked all graduates of the Homestretch program who were currently in the audience to please stand. Several individuals throughout the room rose from their chairs, one by one. Suddenly, people who had been sitting across the table eating breakfast along with the rest of us—the gynecologist, the gourmet chef, the nurse—stood to claim that their lives had been transformed by Homestretch. Once, they, too, were telling different stories. I couldn’t speak English. I was thousands of dollars in debt. I had 3 children and no home. I didn’t know where to get help until I found Homestretch. The value of Homestretch was made clear that day. We know the Value Study played a part in that, but the value created by Homestretch doesn’t begin—or end—there. We hope to work alongside Homestretch for many years to come as it continues to make its value clear. Homestretch made its value clear. As a result, not only did it meet the fundraising goal at the event—Homestretch exceeded the goal by 100%. We’re proud to say that making value clear produces results with our Fortune 500 clients as well as nonprofits. Interested in viewing the Homestretch Value Study? Send us an email to let us know. To read the initial release of the Ecosystems and Homestretch partnership, click here.